Happy November! With Thanksgiving coming up, download and print Little Pim's Thanksgiving Coloring page! Don't forget to incorporate language learning into your holiday while cooking, spending time with family, and during playtime! Teach your kids how to say "thank you" in different languages and other seasonal vocabulary, like the Spanish word for "leaf" = "la hoja." For other fun activities, check out our blog post on 4 Fun Thanksgiving Activities you can do with your little ones! Code or Let Language Learning Programs Implode? Whether coding courses should be offered as an alternative to foreign language classes in highs schools’ core curricula is the subject of great debate among legislators. To make my position undoubtedly clear early on in this post, I urge our leaders to vote against a bill that allows coding to substitute foreign language learning. As an intern at a foreign language learning company, my bias is evident. However, I will present irrefutable support to my position on the matter to show you I don’t speak out of self-interest but rather popular interest. Before I delve into why I vehemently disagree with the proposed course of action, I must qualify that I understand the motives behind the bill. With our president using Twitter as his own media outlet, Facebook allowing cute images of puppies and simultaneously devastating snapshots of war and terrorism to reach millions in seconds, and posting videos to YouTube becoming a career path, I do concur that our world grows ever more dependent on technology. I also understand that this dependency on technology implies a demand in the global economy for individuals educated in engineering and computer science. With only 4% of people graduating with a bachelor’s degree in engineering in the US, compared to 31% in China, for example, it logically follows that other global superpowers are fulfilling this demand in the job market. To become more competitive in the job market and contribute to technology-related fields of the global economy, US citizens must be better educated in the associated areas of study. For these reasons, I understand the desire to integrate coding into the core curriculum. These qualities that differentiate coding languages from foreign languages may seem unimportant to a decision about the proposed education bill, but they are actually the very reason we must say no to the bill! Learning the thousands of words of a foreign language requires the brain to become flexible and switch between vocabulary, grammatical structures, and accents. These skills developed to speak foreign languages are believed to be responsible for bilinguals and multi-linguals divergent thinking, or creativity. The fact that coding languages have significantly fewer words than foreign languages means the skills required to jump between languages, skills that translate to divergent thinking and improved creativity, are less developed. Why should you care? Coding is integral to a successful career in technology-related fields, but creativity is equally imperative in technological innovation. Steve Jobs may have been able to program Apple software, but he also needed the creative mind to come up with product ideas and marketing strategies. Without this creativity, he wouldn’t have been as successful. Thus, foreign languages, in cultivating creativity, are just as important in training people valuable to the tech space as coding classes. Moreover, creativity is appreciated in many other fields, too. Thus, to deprive children of foreign languages, effectively limiting their creativity, is detrimental to the US’ position among tech powers, like not having coding classes at all. Coding has become important, because our society is so technology dependent. Accordingly, many of us have grown more screen-facing than people-facing in our jobs and daily lives. Changing the foreign language requirement to permit coding in place of foreign languages only reinforces this screen-facing culture, which endangers the quality of our face-to-face interactions and children’s people skills. Tech companies might need coders to build products, but they need to know their consumer in order to create desirable products. Surveys and stats are only so telling of consumer response. Face-to-face interactions, where you can see body language and hear intonation can be far more informative. Thus, successful tech companies also require people-facing individuals. These people skills are acquired through conversation, like those had in foreign language classes. Once again, foreign language classes are as necessary in properly educating individuals to enter the tech space as coding. There is a horrible stigma surrounding Americans that we are culturally unaware and self-centered. With English as the language of business, we are rarely forced to accommodate others linguistically. This unaccommodating nature has leaked into our service industries, like tourism, and beyond, tainting our global image. Foreign languages force students to acquaint themselves with a different culture. The AP foreign language examinations offered to high school students who have taken the course test both language and cultural knowledge. Having taken AP French, I can say that the curriculum truly does touch on culture too. We read French literature, discussed historical events, learned of famous chefs and characteristically French dishes, compared the French educative system to the American one, and more. The class taught me a lot, but most importantly that language is merely a window into culture. With this in mind, coding keeps the curtain over that window, bolstering the negative perception of Americans’ cultural awareness. Furthermore, in a globalized economy, cultural awareness, achieved through foreign language classes, not coding, is more and more important to potential employers, including tech companies. The fact that coding languages have fewer words, aren’t spoken, and don’t lay the foundation for a society’s cultural background may seem insignificant in the grand scheme of things. Yet, these aspects of coding entail that coding languages don’t heavily improve creativity, don’t better interpersonal skills, and don’t make coders more culturally aware. Foreign languages, unlike coding, enhance all of these qualities, which are desirable to tech employers and all employers, in fact. Therefore, allowing coding to replace foreign languages may create more programmers, but runs the risk of letting those programmers be less creative, less congenial, and less culturally aware. Moreover, if the same amount of money is allocated to foreign languages while coding classes, which involve very expensive equipment, are included under that umbrella, even less money will go towards foreign language classes. With smaller budgets, foreign language classes will likely have higher student teacher ratios, potentially less enthusiastic teachers, and less immersive curricula. Studies, (like the one in the following article: https://www.thespec.com/news-story/7460958-a-way-to-teach-babies-second-language-if-parents-only-speak-one/), have shown there is a direct correlation between these qualities of foreign language classes and students’ mastery of the language. Effectively, passing the bill wouldn’t only result in less creative, less congenial, and less culturally aware programmers but also less creative, less congenial, and less culturally aware foreign language students, meaning all students suffer. In trying to find a solution to the fact that America is behind other countries in the tech space, the proposed bill creates more problems in the form of less well-rounded graduates. Classes begin MONDAY JUNE 26th at 10 AM in Marcus Garvey Park (upper west corner below playground) & WEDNESDAY JUNE 28th at 10 AM in Central Park (Enter at 79th and walk South, group will meet on the left just before the playground). Cost: $15 a child (cash or Venmo) or find them on KidPass! Looking for some fun holiday crafts for kids during Christmas Break? Christmas Around the World is always a fun theme to incorporate into your holidays. Kids love learning about other cultures and countries and how they celebrate the holidays this time of year. Not only are crafts from around the world fun, they're educational as well. What more can you ask for? Before you dig out the paper, glue, and scissors, do a little research. Decide with your children what countries you want to learn about and make crafts. There are all kinds of wonderful resources on the internet for you to use in your research. Once you decide on which countries you'd like to learn more about, you can get started on the crafts. Try some of these fun ideas. Use real ornaments or make paper ornaments with the countries flags on them. For this activity, you can also head on over to your local craft store such as Michaels Arts & Crafts to buy supplies to paint your own flag ornaments. They will have plain ornaments that you can paint on. For a image database of the world flags and countries, visit this website from the CIA. During your research, find traditional decor or a tradition the country enjoys during the holidays and recreate it with crafts. For example, The Nutcracker is a traditional ballet done in Russia. Design and create your own nutcracker using things from around the house like milk jugs or cartons, paper rolls, Legos, or wood pieces. For ideas, check out this great post from Multicultural Kids on DIY Christmas Ornaments Inspired by World Cultures. Many countries have "treasures" that come from nature that you can recreate at home. For example, Poinsettias come from Mexico. You can make paper or tissue paper Poinsettias after learning about Mexico. Christmas trees originally came from Germany. In the link above, there is a beautiful Mexican Felt Poinsettia you can make with the kids. Do you have any Christmas crafts that you do with your kids that you can share with the Little Pim community? There are tons of fun Christmas tree crafts to make! Share your traditions in the comments below. Many countries have traditional clothing they wear during the holidays. Make paper dolls or clothes pin dolls with the traditional clothing worn from the country you researched. Make crafts of the countries you researched out of paper and hang on a tree or decorate your home. Origami is a great idea for Japan, or make paper chains from Sweden. Let your imagination run wild! Whatever crafts you decide to use for Christmas Around the World, you know your kids are having fun learning and creating great crafts! For more fun activities, print out our Winter Coloring Pages or fun Hanukkah Crafts for Kids. Grab some construction paper in a variety of fall colors like orange, brown and red. Cut them into strips, and hand them out to your kids. Give the children markers, and ask them to write one thing they are thankful for on each piece of paper. Have older kids help those who are too young to write. When the paper strips have all been written on, make a chain by linking them together and securing each with a piece of tape. Use your chain to decorate your front door, or hang it near the Thanksgiving table. Gather some paper towel roles, and cut them into sections of about 2 inches each. Give kids construction paper, glue, Thanksgiving stickers, glitter, ribbon and any other craft supplies you like. Have the children decorate each paper towel section. Use them as napkin rings at the table. These also make great gifts for grandparents or other family members when you are eating at someone else's house. Give each child several pieces of construction paper in fall colors. Trace their hands, and cut them out. Cut a paper plate in half, and ask the kids to glue their paper handprints onto the plate in a fanned out pattern. Cut out about a 2 inch diameter circle, and glue it in the middle of the plate. Use markers or googly eyes to make a turkey face on the circle. Glue on a construction paper gobble. Get a piece of card stock for each person at your table, and fold these in half so they stand up. Gather strong, sturdy, green leaves from outside. Place the leaves under a thin piece of paper, and rub crayons over the paper on top of the leaves to create a pretty pattern. Cut the paper to fit the card stock, and glue it on top. Use a permanent marker to write the name of each guest on the card stock. Try these 4 fun Thanksgiving craft ideas. Your kids will be proud to display their artwork as part of the holiday decor. For more kid-friendly activities, check out our post on a multicultural Thanksgiving. If you have any tips or activities to share, please comment below. Thanks for reading and we hope you and your loved ones have a fantastic holiday season! Flash forward a couple weeks from today: It’s a sticky summer day, and to cool down and spend some quality time with your kiddos, you decide to go home, sprawl out on the couch, and watch the Olympic games. Your child becomes disengaged, or maybe your kid loves the games and is glued to the television. Either way, you are missing out on a huge opportunity to teach your children Portuguese and make them feel a deeper connection to Rio than the screen in your living room. We, here at Little Pim, recognize this language learning opportunity, and luckily, we offer lessons and flash cards in Portuguese that will make your son or daughter speak as well as Gabby Douglas flips in the time of a Usain Bolt 100 meter dash. The most obvious vocabulary to introduce to your child during the Olympic games would be basic sports vocabulary, like the words for: ball, referee, pool, court, and field. To try to cultivate the strongest correlation between the words you are teaching and an image, it is probably smart to introduce the vocab as its corresponding image appears on the television. Additionally, since the words you will be teaching them are about being active, you can make the language learning active. Play a game of catch while watching the 2016 games. When you have the ball, say the English word, and have your child say the Portuguese translation upon catching the ball. They can learn more about how to discuss playtime in Portuguese with the Little Pim “Playtime” lesson, which is available for online purchase. This online accessibility means they can sit on the couch and learn Portuguese on any device with the Olympics on in the background. The Olympics has a record number of countries competing this year, so now more than ever the Olympics is a melting pot of cultures. 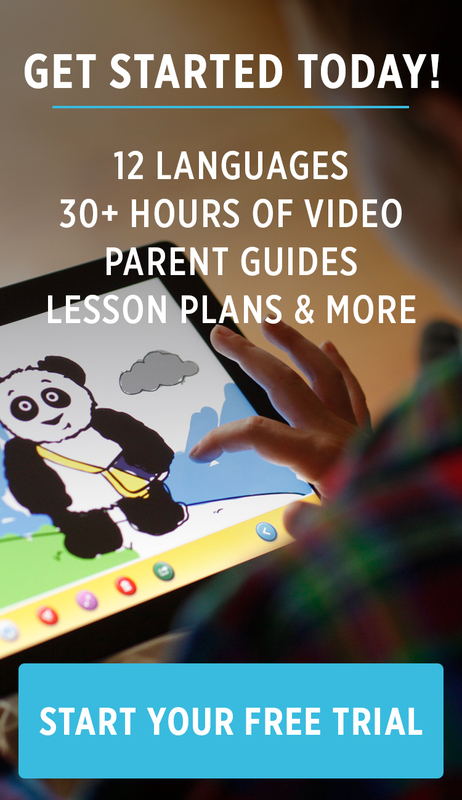 This presents you with the ability to expose your child to a plethora of different countries. With that, you can teach them how to say each country’s name, main languages, and prominent religions in Portuguese. You can pull out a map and point at the country in question as you go along! If your family has roots in a certain country, this is a great time to introduce a bit of that country’s language too; Little Pim lessons could probably help you do so! The number system is critical to any language, so it is a good place to start when learning Portuguese. As the shot clock winds down or the race is about to begin, have your son or daughter count down in Portuguese. They will be ready by New Years to count down to 12 AM in Portuguese! (it is probably genetic) and enjoy memorizing statistics from player cards and a teams’ websites. If you are fluent in Portuguese or have never heard a word of it, speaking the language with your kid makes it a group activity as opposed to a chore. Additionally, if your whole family wants to extend your exposure to Brazilian culture beyond language learning, please refer to a post coming out soon about fun activities infused with Brazilian culture that you can do right at home. For the words to stick, a child needs to become familiar with them by hearing them a number of times. On your way to a mall or weekend get-away, you can review the Portuguese vocab in a fun trivia-like format. The Little Pim flash card set could serve this purpose really well! Sports have the power to transcend countries’ borders, racial divides, and social differences. That power is what makes the Olympics such a beautiful thing to watch, especially today when these issues run rampant in our society. Teaching your child the English words for unity, equality, fairness, and sportsmanship, for example, is a powerful action in it of itself. Imagine the power of teaching them these words in yet another language, like Portuguese. By teaching your child another language at a young age, you accomplish many things. You make them smarter, you differentiate them from other children their age, and you ultimately make them more valuable to our society and a potential employer. Above all of those things, you make them sensitive to and connected to another country, culture, and way of life. In learning a new language, they are learning to respect differences instead of hate them, just as sportsmanship teaches. Language learning is powerful. Sports are powerful. Rio is the perfect opportunity to combine sports with language learning, an action that could have an amazingly powerful impact on your child. P.S. It will also be fun!! Everyone is going Pokémon crazy with the release of Nintendo's new app, Pokémon Go. As a parent of little ones, it's important to learn about the pros and cons of this app before letting your kids dive in on the fun. 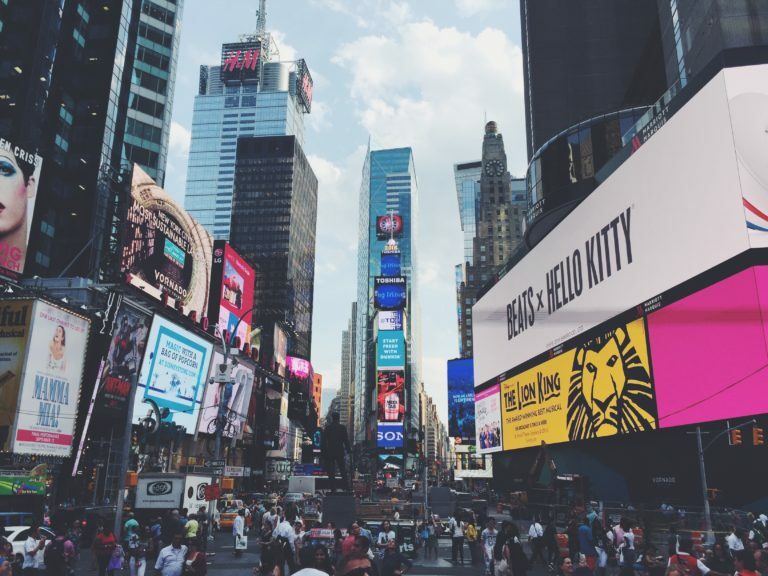 We've been playing for almost a week - for research purposes only, we promise ;) - and have seen the big phenomenon hit the streets of Manhattan and across the country. You've probably heard the news regarding the potential dangers of playing the game or perhaps you've downloaded the app yourself and can't get enough. We've compiled some great tips about how to make Pokémon Go a fun, safe, and educational game to play with your little ones. Pokémon Go is free to download, but there are in-app purchases to buy PokéCoins for different items in the "Shop." 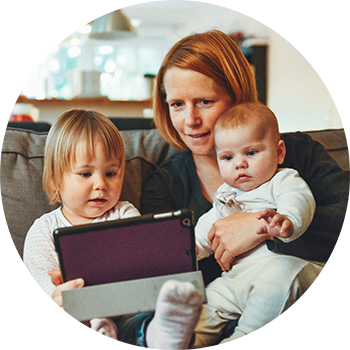 These purchases require you to login to your iTunes or Google Play account, so be sure your kids are not able to do so by disabling in-app purchases or keeping your password safe to avoid getting a huge bill at the end of the month. You and your family can still have all the fun for free as long as you play wisely to collect more items from PokéStops. Like many mobile apps, playing Pokémon Go will require use of your cell phone's data, so hopefully you have an unlimited data plan or else you'll probably start receiving texts from your carrier warning you that you've used a majority of your data this month. If you're hitting the max data allowed per month, you may need to have your data turned off until the cycle restarts. Also, this app will do a number on your battery life. Make sure you're fully charged before you head out the door or carry a charger with you. Playing the app can be rather simple once you understand what to do. You're playing as the Pokémon trainer who collects Pokémon (cute, little "pocket monsters" with unique traits and skills) outside. The app connects to your GPS to show you your location and the whereabouts of Pokémon in the wild, nearby PokéStops, and gyms where you can virtually battle other players. At the end of the day, you and your kids could be walking miles on this virtual scavenger hunt while discovering local landmarks and small businesses that you'd normally never visit. This provides a great opportunity for kids to get outside and explore, with your supervision of course. When you get to a PokéStop and it's a historical landmark, spend time with your little ones to read about the landmark and start discussions about the history. Playing Pokémon Go during summer vacation can be a fun way to teach your kids about your local surroundings and to provide incentives to take trips to the library or museum for more typical summer learning. You can even use family trips to a local gym or PokéStop as an incentive for finishing a desired task or summer reading. According the the AppStore and Google Play store, the recommended age to play is 9+ years due to a warning for "Infrequent/Mild Cartoon or Fantasy Violence." Our biggest concern is having little kids roaming the streets while looking down at their device ("distracted walking") or being "lured" into a dangerous area, which is why we recommend that a parent or guardian is always present to supervise your children, especially your young ones when playing this app. Recent reports mentioned that players are using the "lures" (a feature used to lure more Pokémon to a location) to plan a robbery or to lure children. Always look up when walking and hold onto your kids when crossing a street or intersection. We recommend playing this game at your local park or an area where there is little traffic. Another part of the game involves eggs that hatch into new Pokémon. When you collect an egg, you can incubate it by walking a certain distance (2 km, 5km, 10km) to make it hatch. We love that this feature gets you and your whole family outdoors walking instead of indoors on the couch. Different types of locations have different varieties of Pokémon, so you will have plenty of opportunities to explore fun spots with your kids, for example, when you visit a body of water such as a lake or river, you will see more water Pokémon. 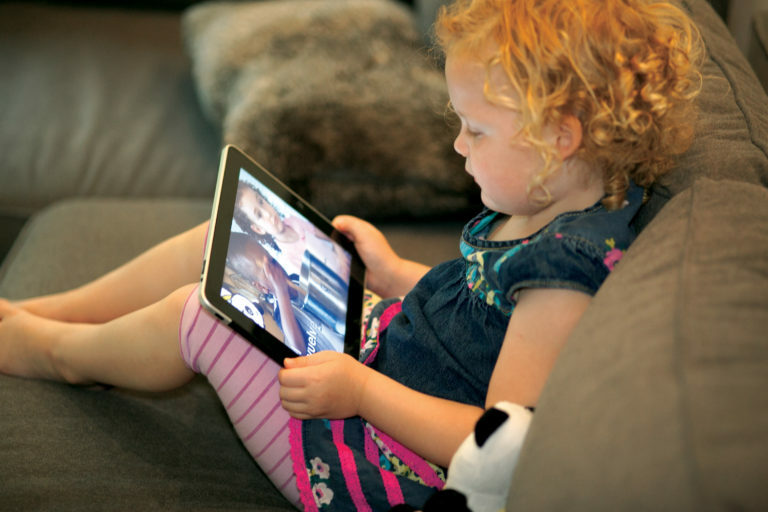 Parents playing the app with their little ones will quickly notice they aren't the only ones. When walking to a PokéStop or local museum or library that put out a lure to gather people for an event, you will most likely make a connection with another family. Since school is out, now's the perfect time to get out there and meet other parents and children who have similar interests. It's also a great opportunity to connect with your local area's small business owners and support them by buying the family ice cream or a delicious pizza pie! Due to the game's diverse players, you're probably going to meet a bunch of families who are also raising bilingual children. This gives your kids a great opportunity to practice speaking in their second language with other children their age. 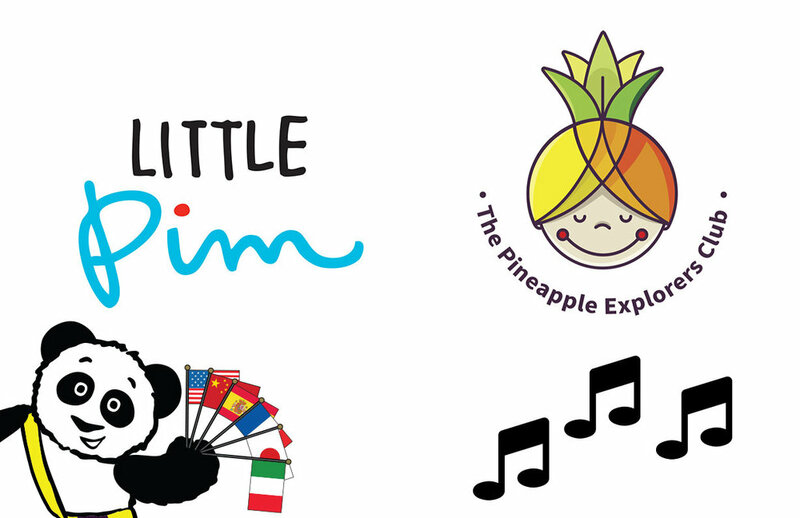 Here at Little Pim, we're all about making language learning fun, easy, and effective for young children. We thought of ways to tie in language learning into the game to keep their brains active all summer long. You can have your kids count the number of steps to catch the Pokémon in the foreign language they are learning. If the Pokémon is further away, help them out with the bigger numbers and eventually they will learn all the numbers in the new language. This app also forces you to learn the metric system as the distance to walk to hatch your eggs is in kilometers you can convert them to miles. A recent article by MentalFloss pointed out that according to Google Trends, searches for “how far is 2 km” and “how far is 5 km” spiked after July 6. Here in New York City, we have an extraordinary mix of different cultures present within walking distance. For example, you can take a family trip over to Koreatown with your little language learns to get a glimpse of the Korean culture and enjoy the delicious cuisine at an authentic restaurant. Perhaps you'll run into a nice family of native Korean speakers that are also playing the game to spark up a conversation so your child can practice speaking in Korean. Head over to Little Italy to catch some Pokémon and practice your Italian by pronouncing the various food and restaurant names. 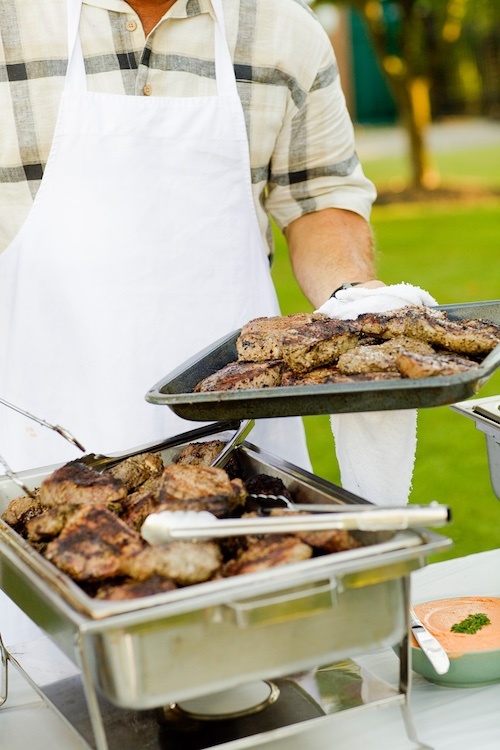 Enjoy some delicious Italian cuisine when in the area. Learn more about NYC's ethnic neighborhoods from BusinessInsider to begin exploring this summer whether you're a local or just visiting. Outdoor play and social interactions for kids is great, but can also present risks. As a parent of little ones, we recommend you supervise your child's cellphone use and play this fun game by their side. Make it a family activity and take the opportunity to teach your kids about "stranger danger" and the risks of "distracted walking." We hope you enjoyed reading this guide and wish you the best of luck in "catching them all!" If you have any other tips for parents playing Pokémon Go with their kids, please comment below. 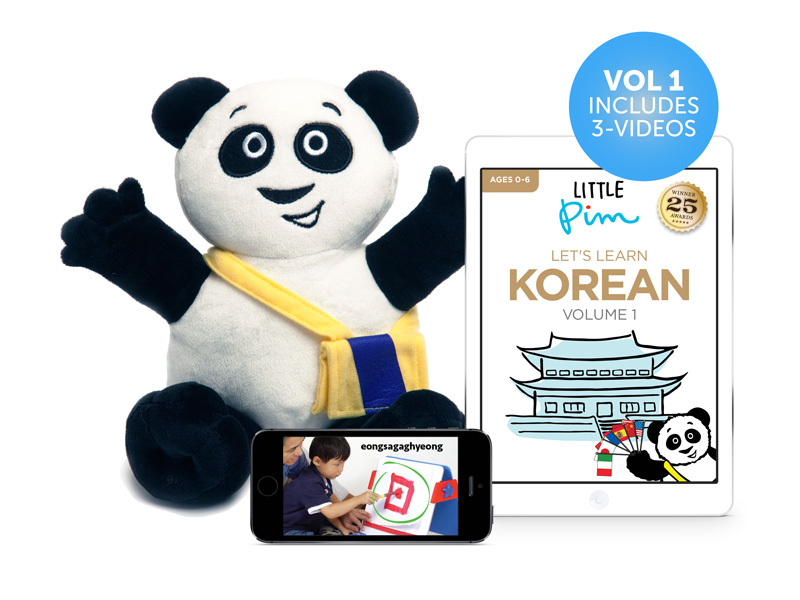 Don't forget that you can also take Little Pim with you during summer vacation with our digital downloads available in 12 languages. Your kids will be speaking a new language in no time with our unique approach. Learn more on our website or contact us during business hours. Enjoy the rest of your summer and stay safe!